Today we would like to share some images from Logan and Renee's early October wedding at Pharsalia. A truly inspiring couple, their energy was radiant on their wedding day. 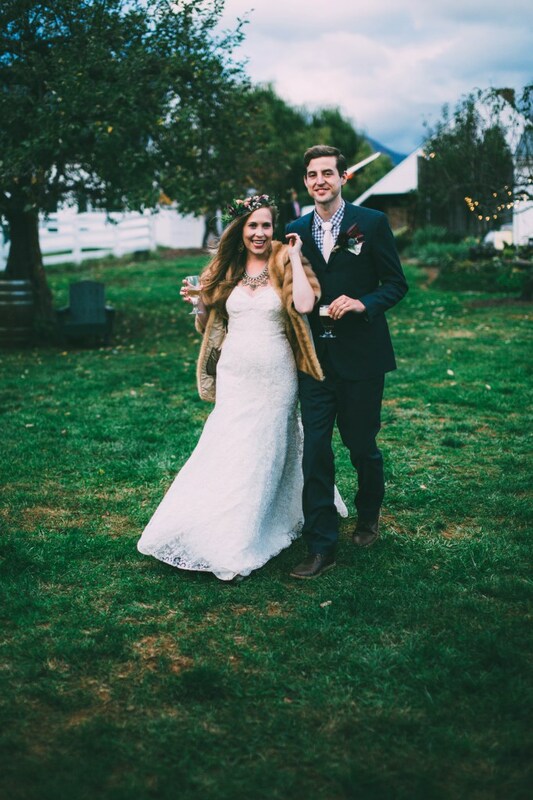 From gearing up to start their own bean to bar Chocolate business in Charlottesville, to Renee's delightful food blog , to their laid back personalities; this couple found their perfect venue in Pharsalia. Take a look at some of the photos from the beautiful wedding these two dreamed up with the Blue Ridge Mountains as their backdrop. A Special Thanks to Renee and Logan for sharing their photos, and to Photography by Chelsea Diane Courtney. Flowers from Pharsalia's own Fresh Cut Flower Farm. In house floral design by Mary Edmonds. Announcing our NEW Pharsalia website!